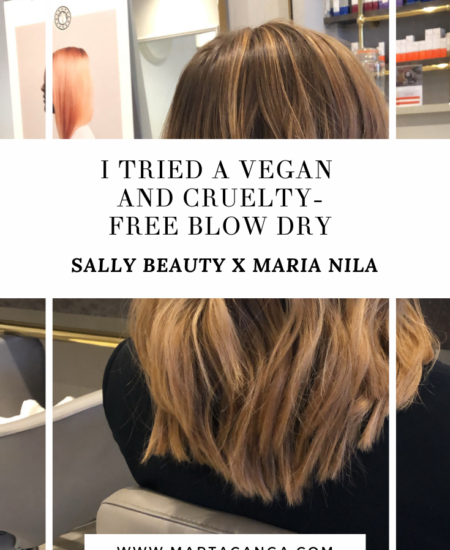 Since I’ve made the switch to a vegan closet (which probably goes back to December 2016), I realised that there are so many alternatives to animal leather. 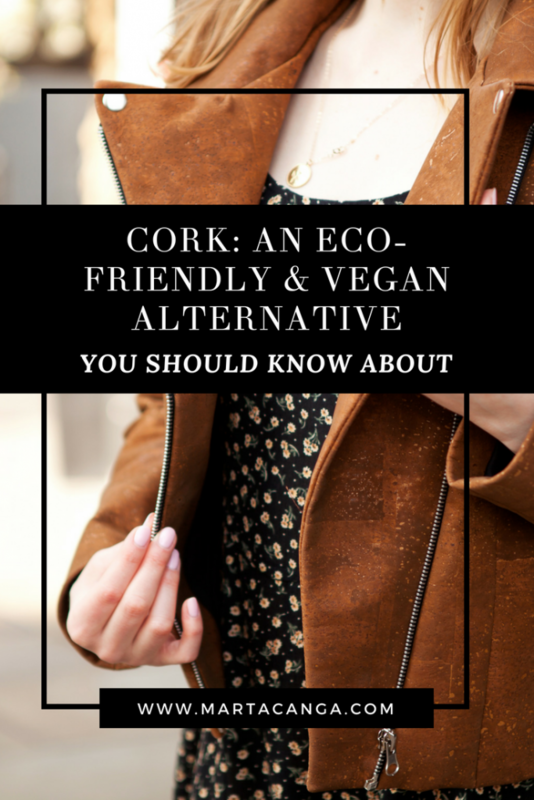 I have come across many different materials, such as polyurethane, microfibre, pineapple leather, apple leather, mushroom leather… But the one I haven’t actually talked about in my blog is cork. 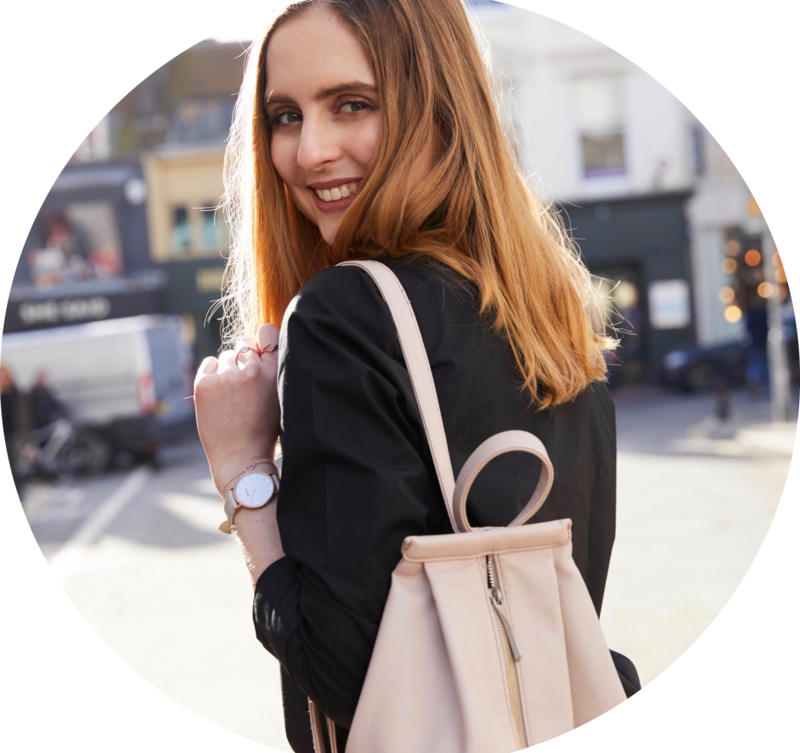 I have talked about this topic in previous blog posts, so I would recommend you read my most read articles : 3 Reasons Why You Should Give Up On Leather as well as 5 Cruelty-Free Alternatives You Should Know About. 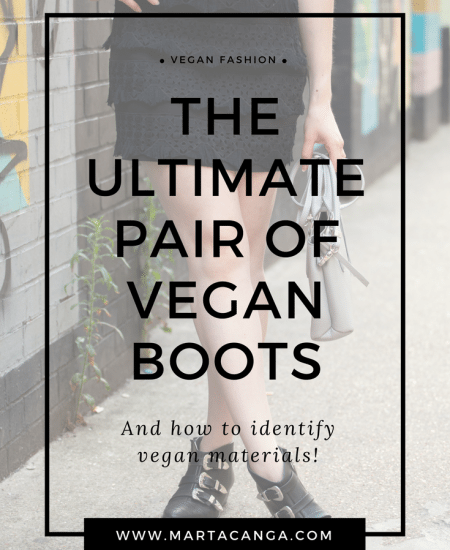 I came across this material when I was first doing research in terms of switching my closet to a vegan closet. Cork is the bark of the cork oak, removed every nine years, when the tree is in a more active stage of growth and it’s easier to peel it without damaging the trunk. Globally, there’s an estimated 2.3 million hectares of cork oak forest. Of those, about 716 thousand hectares are located in Portugal (22.5% of the national forest area) and half of the world’s cork production is Portuguese. Cork is a wonderful vegan alternative to leather, as it is a sustainable, high quality material that is made to be durable and resistant. Besides being waterproof, elastic, fire resistant and unique in its appearance, it is a naturally harvested material! Every time a cork oak tree is harvested, it absorbs more CO2 to aid the bark’s regeneration process. So, regularly harvested cork oak trees store three to five times more CO2 than those left unharvested. Since only the bark is removed to obtain the cork, the tree goes on living and helping us clean our air. Some cork trees can live for up to 300 years, meaning a single tree can supply cork for many generations. 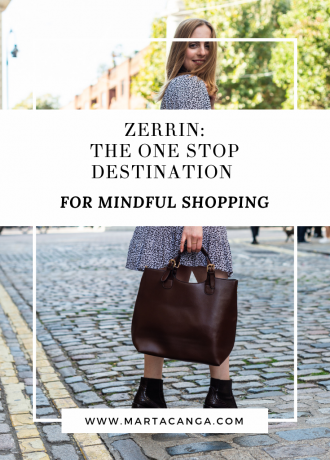 Industries are heavily dependent upon natural resources – and fashion is certainly no exception. While there are serious environmental impacts associated with the processing of some fabrics and materials, cork has a substantially smaller environmental footprint. The financial viability of cork and its growers helps provide long-term protection for a unique and fragile ecosystem – one of the world’s highest levels of forest biodiversity, which constitutes a habitat for rare and even endangered species! I believe that when artisans have the right working conditions and fair salaries, their best work shines through. That’s I always insist everyone should be rewarded justly for their contribution! Ovide stands for ‘Origin, Vegan, Innovative, Design, Elegant’. But Ovid was also a Latin poet that wrote the famous narrative poem book ‘The Metamorphoses’. In the book, he talks about animal respect and he was one of the first pioneers in history to advocate for vegetarianism and animal welfare. 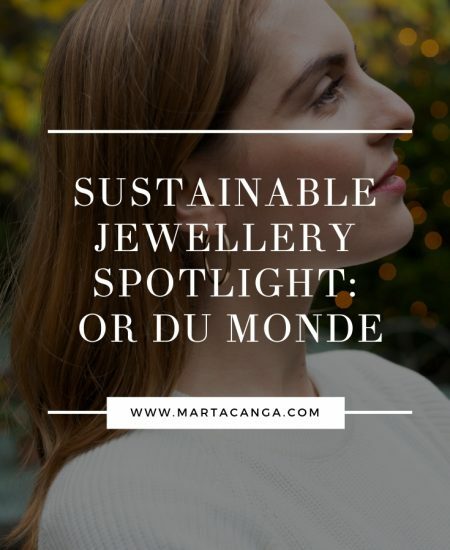 The brand was created by Alexia and Juliette, offering a modern, young, chic twist to your usual sustainable fashion and they also care about the environment. That is why they have created an entire line of clothing that is respectful towards animals and is mindful about sustainability. 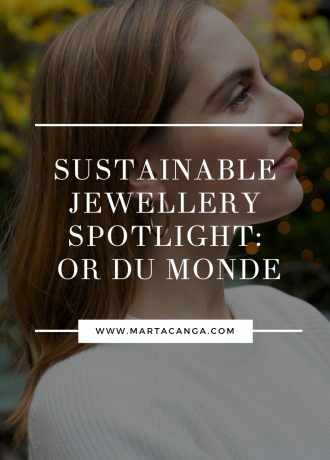 Their products are produced in France to ethical and human standards and they use sustainable materials as much as possible. They strive to constantly improve their offering and work hard to get ethical and environmental sourcing. Ovide is a PETA-approved brand it’s also Animal-Free Approved as well. 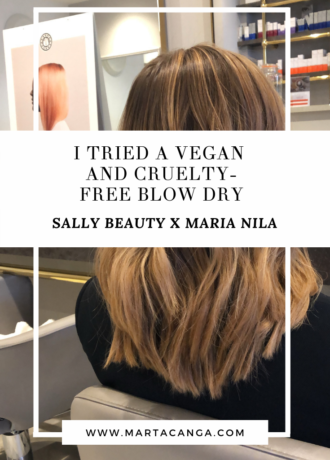 As a cruelty-free brand, they use textiles that are healthy alternatives to leather and do not contain any animal derivatives or toxic chemicals either. Thanks to these innovative materials, they fight effectively against CO2 production as well as deforestation. 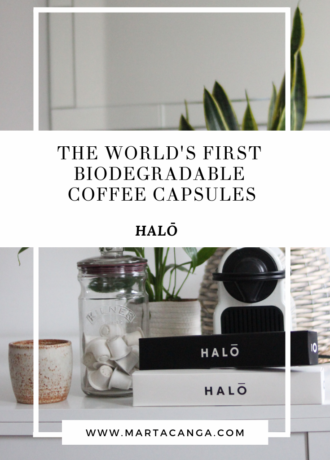 What is amazing about companies like these is that they take a social responsibility towards social wellbeing and the environment, and thus participate actively in the ecosystem preservation. By choosing innovative materials – like cork – that are also eco-friendly, responsibly sourced and cruelty-free, Ovide stands as a beautiful option for mindful consumers that care about the current and future impact of the fashion industry. 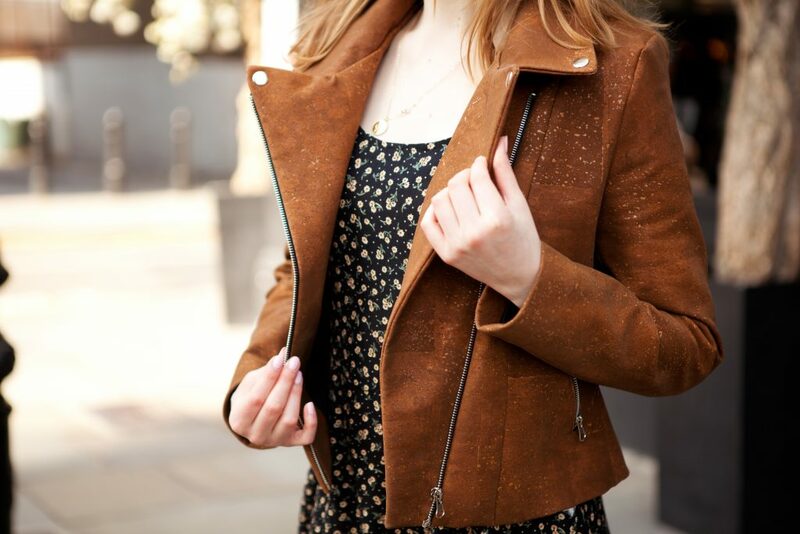 And, to be fair, how gorgeous does this cork jacket look as well?! This is the Cassandre Cork Jacket, which is also impermeable, insulating, fire-retardant, resistant, hypoallergenic and naturally super soft too. I am in love with this camel colour as I think it features my yellow undertone and features. I cannot wait to wear it during Autumn to match it with the falling leaves! 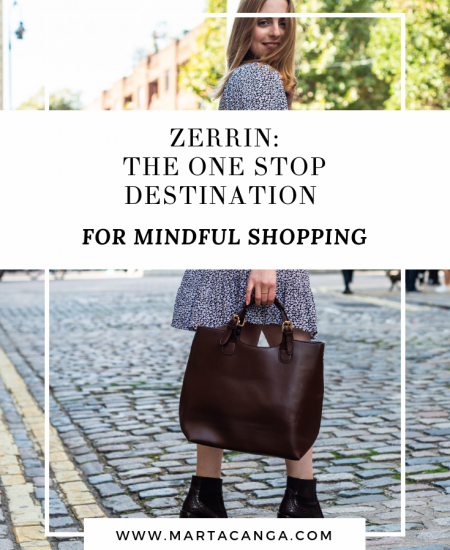 To be honest with you I had never tried anything in cork leather before, apart from my red Wilby bag which you must have seen on my Instagram feed before. I paired this jacket with a long floral dress that I got recently in a second hand shop. You can see more about it on my YouTube video or you can shop an alternative by clicking here! I love the fact that there are so many alternatives to leather nowadays, that are also high-quality. Now you don’t need to compromise on your beliefs to look and feel beautiful – I wear mine with pride and I think that it’s cool to have such a unique piece in your wardrobe. I love the fact that it’s vegan, it’s made locally, handmade and ecologically. It’s all around goodness! Keep an eye on Ovide’s Instagram as well, as they are soon releasing new collections and innovative materials that you HAVE TO to see when they come out. Not saying anything more so just go follow them and give them some green love! This post is has been kindly sponsored.